A young man who became Shomer Shabbat in his teens was the guest speaker at Solihull’s ShabbatUK, which revolved around boosting community feeling and educating attendees further about the Jewish day of rest. A successful Challah Make on Thursday was followed by an explanatory service on the Shabbat morning, which saw Rabbi Pink give an enlightening running commentary while a guest Chazan took over davening. A community lunch was the perfect social accompaniment to the service. Our programme ‘Turning Saturday into Shabbat’ continued to build on the work of previous years raising the profile of Shabbat. It was a great event and a number of families increased their observance of Shabbat, albeit not fully Shomer Shabbat but definitely to a level higher than before. ShabbatUK in Solihull kicked off with a Challah Make which attracted high numbers including someone who travelled from 45 miles away for the occasion. Over Shabbos, Solihull were joined by a visiting Chazzan all the way from Milan who enhanced the services greatly through his tremendous voice and his uplifting tunes. 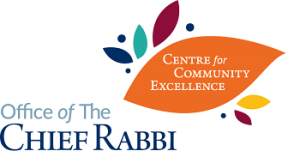 The Kabbalat service was followed by a Chicken soup kiddush and on Shabbos day, the explanatory service which provided deeper insights into the beauty of Shabbat was followed by a lunch for the whole community. A musical Havdallah rounded off an incredible ShabbatUK at Solihull shul.